If you or your loved one are a new patient, you will need to fill out some paperwork to establish your patient record. If you would like to complete the forms in advance, the packet can be downloaded below under the appropriate exam. Please plan for a lengthy exam. Eye Care Specialists attempts to perform all diagnostic tests and in-office treatment procedures on the day of an appointment in order to avoid the need for multiple visits. Our physicians and staff look forward to meeting you and will take extra care in making sure all of your questions and eye care needs are met! Please plan for a one to two-hour visit for a comprehensive eye exam, dependent upon the indicated measurements, scans, and imaging. Your eye doctor will check visual acuity, dilate your eyes, perform an ophthalmoscopy and/or slit lamp exam, and obtain an auto and/or manual manifest refraction. Dependent upon symptoms and initial screening, some necessary tests may include OCT, visual field, or topography. Three of our physicians see patients for general comprehensive eye care: Dr. Brad Stuckenschneider in Poplar Bluff and Piedmont (download patient forms); Dr. Todd Lumsden in Cape Girardeau-Doctors’ Park and Perryville; Dr. John Kinder in Cape Girardeau-Doctors’ Park and Dexter. If you are a candidate for cataract surgery, a cataract consultation and pre-operative exam typically requires one to two hours to schedule your procedure and perform the necessary scans, testing, and measurements for surgery. You will be dilated for this exam. Possible tests include: visual acuity, manifest refraction, topography, A-scan, and OCT.
Consultation locations and surgery centers differ for each surgeon. We have five cataract surgeons: Dr. Brad Stuckenschneider in Poplar Bluff and Piedmont; Dr. Todd Lumsden in Cape Girardeau and Perryville; Dr. John Kinder in Cape Girardeau and Dexter; Dr. Shawn Parker in Cape Girardeau and Marion. Dr. Richard Kies in Cape Girardeau. Please plan for an hour to an hour and a half for a glaucoma exam (if an in-office laser treatment is required it may be longer). For this assessment you will be dilated for an ophthalmoscopy or slit lamp exam and will likely need tonometry, an OCT, pachymetry, and visual field. See below for detail about potential glaucoma testing. Our four glaucoma doctors are: Dr. Shawn Parker in Cape Girardeau and Marion; Dr. Brad Stuckenschneider in Poplar Bluff and Piedmont; Dr. Todd Lumsden in Cape Girardeau and Perryville; Dr. John Kinder in Cape Girardeau and Dexter. A corneal consultation typically requires one to two hours depending on indicated in-office scans, tests, and procedures. Depending on symptoms and initial screening from the dilation and slit lamp exam, Dr. Parker will likely also conduct topography, an OCT, pachymetry, and a visual field. Please plan for two to three hours for an exam with our retinal specialists, if you are diabetic you may wish to bring a snack. A driver is recommended as dilation is required for each visit (see below for more details about dilation). Retinal exams often indicate an OCT or fluorescein angiogram to determine disease progression and treatment. Our three retinal specialists are: Dr. David Westrich in Cape Girardeau, Poplar Bluff, and Paducah (download patient forms); Dr. Tatyana Metelitsina in Cape Girardeau, Poplar Bluff, and Carbondale (download patient forms); Dr. Kim Krummenacher in Cape Girardeau. A free LASIK consultation is usually 45 minutes to one hour and pre-operative exams are one and a half to two hours. For extensive information about the LASIK procedure, visit our dedicated LASIK site at lasik4me.co! Dr. Shawn Parker is our corneal and refractive specialist. We schedule free LASIK consultations and post-operative exams at our Cape Girardeau and Marion offices. Due to the intricate equipment necessary to obtain measurements and perform the laser treatment, all pre-operative exams and procedures are at our Cape Girardeau office. We very much appreciate your diligence in arriving prepared for your eye exam to expedite check-in and help us maintain update-to-date information in your patient record. If you would like to complete any patient forms prior to arriving for your appointment, you can download them here. Dilation makes your eyes sensitive to light and results in blurred vision for several hours. Driving with dilated pupils is not safe or advisable. Most retinal exams do involve dilation. Most all patients (aside from LASIK screenings) will be dilated at each visit if you wish to arrange for a driver. Dependent upon your eye doctor’s initial findings or your eye condition, the following tests may be performed at your eye exam. Have you ever wondered exactly what 20/20 means? Visual acuity uses the Snellen eye chart to measure how well you see at a distance of 20 feet to determine if you need vision correction. The smallest line of letters you can read is recorded as your visual acuity. The first number of visual acuity represents what you can see at 20 feet. The second number compares what you see at 20 feet, to what someone with normal “20/20” vision can see at a comparable distance. For example, if your visual acuity is 20/200, you have to be as close as 20 feet to see what a person with normal vision can see at 200 feet. 20/20 is considered normal vision but it is possible to achieve better than normal vision such as 20/15 or 20/10. 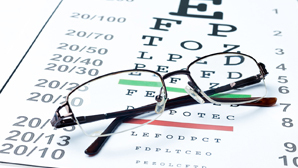 A refractive error (nearsightedness, farsightedness, and astigmatism) affects how clearly you see the eye chart. A manifest refraction is a measurement of your refractive error without any drops instilled or vision correction. An auto-refractor is a machine that generates an objective, computerized manifest refraction (the measurement for your refractive error), with no input from you. Your eye doctor may also obtain a subjective, manual manifest refraction with the use of a phoropter. A phoropter provides lens options and you indicate which options are more clear. The measurements or “refraction” derived from this test create the prescription to help you achieve 20/20 vision. Don’t worry about getting the right answer and it affecting your treatment. The combination of the auto-refraction, manual refraction, and other tests give a cumulative assessment for your vision improvement. Dilating drops enlarge the pupil so your doctor can see the inside of your eye. When dilated, more light is able to enter the eye and, with a special instrument, your ophthalmologist can view the lens, optic nerve, blood vessels, and retina. Dilation keeps your pupil from getting smaller in reaction to light enabling a slit lamp exam, ophthalmoscopy, and other imaging tests to be run and pictures of the inside of the eye to be taken. About 20 to 30 minutes after the technician instills dilating drops, your pupils enlarge causing light sensitivity and near vision to be blurry. These effects can last for several hours. There are many different types and strengths of dilating drops and eyes react differently to the drops. For example, lighter eyes, such as blue, green or hazel, tend to dilate faster than brown eyes. For these reasons, your eye doctor cannot tell you how long these effects will last. 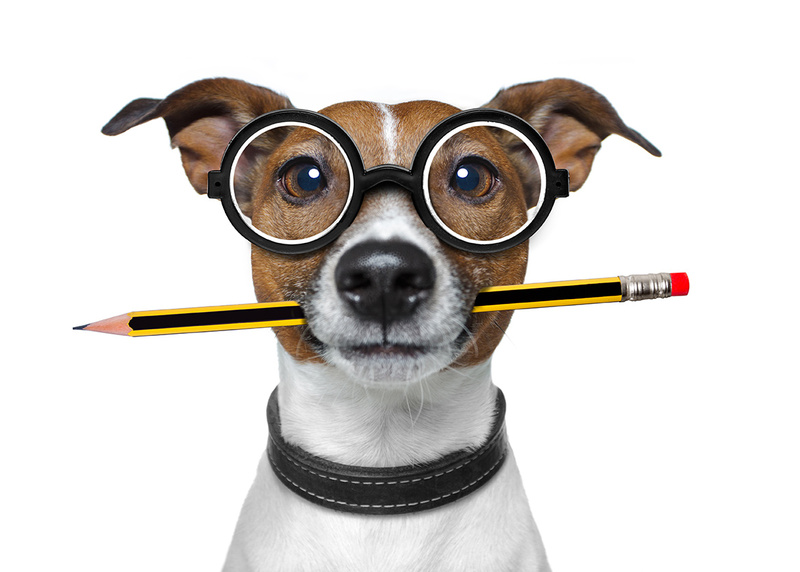 If you are sensitive to dilation, Eye Care Specialists recommends sunglasses and a driver for your exam. Your physician will use an instrument that looks kind of like a microscope but instead of facing down it faces straight. You’ll put your chin and forehead in the rests on the slit lamp and focus on a target. Like a traditional microscope, the slit lamp (a biomicroscope), allows your doctor to look at your eyelids, cornea, conjunctiva, iris, and lens at high magnification. With special “attachments”, the slit lamp can also check intraocular pressure (IOP) and see all the way to the back of the eye to exam the retina. Corneal Topography maps the surface curvature of the cornea, the clear front part of the eye. Much like our fingerprint, the surface of the cornea is unique with some steep areas and some flat areas. The corneal topographer uses rings of light to create a custom, 3D, topographical mapping of the cornea showing your doctor the shape and stability of the cornea. This test gives your eye doctor measurements needed for refractive surgery such as cataract and LASIK and helps diagnose eye diseases such as dry eye and keratoconus. It is noninvasive. You simply place your chin and forehead on the rests provided while the topographer takes scans of your eye. A visual field measures central and peripheral (side) vision to diagnose and monitor conditions affecting the optic nerve, such as glaucoma or retinal diseases. Your doctor may conduct a manual visual field test to screen for blank spots in your vision. If indicated, you may need a more comprehensive, automated perimetry test. With this visual field testing, you will rest your chin in a machine that flashes lights in different areas in your field of vision as you focus on a key target. You will press a button when you see the light to indicate what areas you can see. An A-scan is a highly precise machine that measures the length of the eye, the shape of the eye’s surface, and the dimensions of other structures in the eye. The computer runs calculations using formulas to help your cataract surgeon determine the intraocular lens implant (IOL) power for your cataract surgery. As an ultrasound uses sound waves to capture images of bodily tissue, optical coherence tomography (OCT) uses light waves to take very high-resolution, cross-sectional images of the back of the eye. While your eyes are dilated, you’ll place your head on a chin rest while a light beam obtains the images. This diagnostic test allows your doctor to detect eye conditions such as glaucoma or determine the thickness of the macula and the presence of such conditions as macular edema, cystic changes, and hemorrhage or fluid leakage. Glaucoma is known as the “silent thief of sight” because it has little to no symptoms before it has robbed vision. This disease is one of the most important reasons to have regular eye exams as early detection can prevent the disease from damaging the optic nerve and irreversibly affecting your vision. Eye Care Specialists has advanced technology to identify, monitor, and treat glaucoma. These tests may include ophthalmoscopy, tonometry, pachymetry, gonioscopy, visual field, and OCT. The fundus of the eye is the interior surface and includes the retina, optic nerve, and macula. Once your eyes are dilated, your doctor can perform an ophthalmoscopy and take digital images of the fundus using a special camera mounted on a microscope. Fundus photography allows your ophthalmologist or retinal specialist to map disease progression and determine the efficacy of treatment. During this test, fluorescein sodium dye is injected into a vein in your arm. A camera, equipped with special filters that highlight the dye, takes rapid sequence photographs of the fluorescein as it circulates through the blood vessels of the retina. The dye will leak into or stain abnormal blood vessels. If there is damage to the lining underneath the retina, or the appearance of abnormal new blood vessels growing beneath the retina, their precise location can be seen. The test confirms a diagnosis and helps determine the best treatment options. Post-treatment, angiograms help to determine the effectiveness of treatment. 1 ““Healthy Vision Month: Fact Sheet.” National Eye Institute, U.S. Department of Health and Human Services, nei.nih.gov/hvm/factsheet.